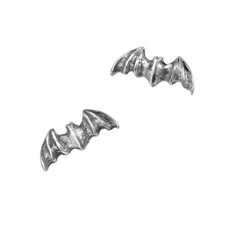 A skein of bats flitters about this deep and sinister portent. 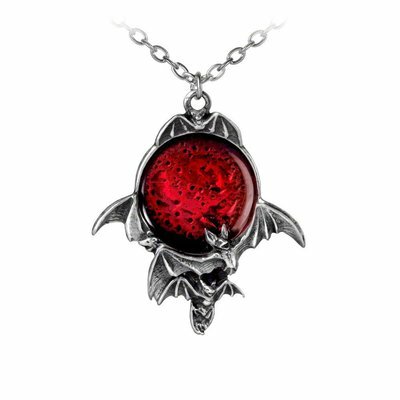 This dramatic necklace is fit for a vampire king or queen. A pewter pendant of the moon, in translucent red enamel and surrounded by flying bats.